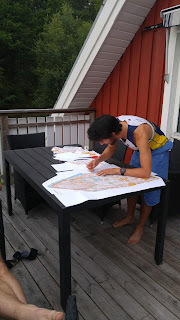 Most of team Canada has arrived in Stromstad for the World Orienteering Championships. We have been doing a bit of last minute map training but many of the athletes have had several opportunities to run training camps in the area so they are very familiar with the area. The forest is quite open with lots of bare rock, cliffs, heather, blueberries and chantrelles. It is difficult to stay on a bearing when you are stopping for a snack along the way. This year the official accommodation is in a Swedish Camping area and amusement park. Some of the cabins (including our coach accommodation) is pirate themed but the team has a nice non-pirate house. 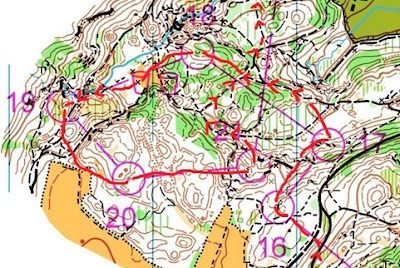 WOC starts with the sprint this Saturday. Emma Waddington, Will Critchley, Damian Konotopetz and Robbie Anderson will run for Canada. Tomorrow, they will have the opportunity to wander around the city for a couple of hours before it is re-embargoed. 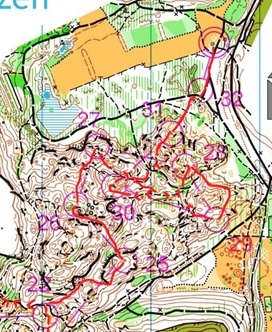 The World University Orienteering Championships took place last week in Miskolc, Hungary. There were athletes from 34 nations competing in 5 back to back day of races. Canada was represented by Pia Blake, Emma Sherwood, Damian Konotopetz, Eric Kemp, Robert Aderson, Robert Graham, and me (Adam Woods). The Sprint was my favorite of the 5 races. It featured a maze of uncrossable stone walls that were nigh impossible to navigate through at speed. I was proud to make it through the complex session without any significant time loss and finished in 68th, just behind Damian in 65th and Robert Anderson in 67th. The Long was the race most of team Canada struggled on. Though long (14km for guys, 10 km for women) and hilly (655m and 420m climb respectively) it featured lots of beautiful white forest. Pia Blake had a tough race; She’d wrapped her ankles slightly too tight, but didn’t start feeling it until the race had started. Congrats to her for suffering though it for the 2:10:54 it took her to complete the course. The third race was the exciting Sprint Relay, which delivered another unique and challenging sprint course. There were man made barriers and passageways through building you’d normally never have access to. There were over 50 volunteers out on course ensuring these passageways remained passable for the competitors. Emma Sherwood ran what she considers to be her best international race and managed to overtake the Japanese athlete who she’d started behind. However, though I really enjoyed the course, my race had multiple errors, including my failure to notice the short 12-13 leg. Emma’s triumphant sprint down the finish chute was ruined when the announcer casually mentioned that the Canadian team had mispunched. The Middle distance race was much more successful for Canada. 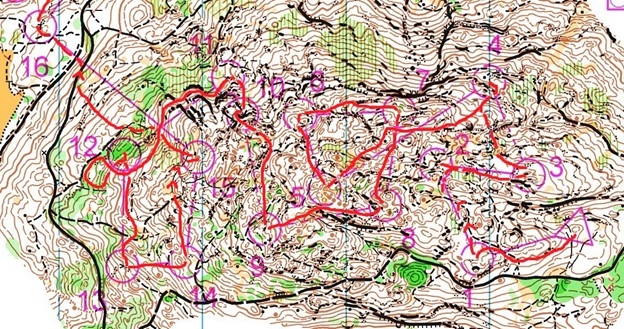 In contrast to the mostly white forest of the long distance, the Middle distance map was varying shades of green. However, though the forest looked nasty on the map, Damian correctly assumed that strait would normally be the fastest route choice. Sticking straight, and running fast resulted in a 30th place finish for Damian. Eric Kemp also ran a very strong race. Unfortunately, he was caught by a course setter’s trap. He was on the fastest route to his control, and only 30m away from the pit he was supposed to find when he came across the far more obvious women’s control. He was so close that he caused a New Zealand athlete to make the same error and a third member of the pack was flabbergasted to find they had mispunched. The final race was the traditional 3 person Relay. Damian, Eric and Robbie Anderson formed Canada’s only official relay team, while the other Canadian athletes ran on mixed nationality relay teams. Robbie Anderson had good third leg to bring home the Canadian relay team to a 22nd place finish among the official teams. 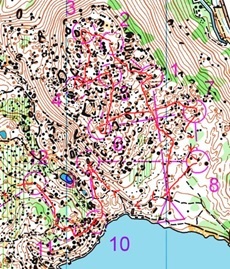 Similarly, Robbie Graham had an impressive third leg run to bring the MDA-CAN mixed team in 9 min ahead of team Canada. (Thanks to Roman Ciobanu from Moldova for sending out the MDA-CAN team in 8th after the first leg). Finally, I would be remiss to avoid mentioning the Coaches Race. Patrick Saile followed the athletes’ instructions and pulled ahead of the other coaches off the start, arriving at the start flag in second place. He had the loudest supporters on the run-through, was supplied with sports drink and thoughtfully cooled down by large quantities of water. 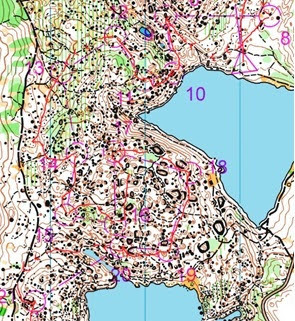 Though Patrick was unable to complete the course faster than world champions Simone Niggli-Luder and Ida Bobach, he had an impressive finish sprint. Flanked by Eric and I waving Canadian flags, Patrick crossed the finish line to chants of “CANADA, CANADA” from the Swiss team. 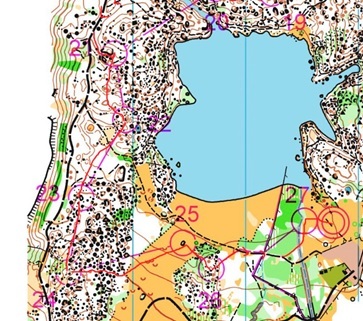 The Wold University Orienteering Championships in Hungary featured beautiful white forest and some of the most interesting sprint courses I’ve had the privilege to run. Thanks to all the organizers, volunteers and the city of Miskolc. The memories of WUOC 2016 will stick around a long time, motivating me to prepare for the 2018 WUOC in Finland. Good luck to Damian Konotopetz, Eric Kemp, Robert Aderson at the Canadian team trials! Between all the events happening at home and abroad in the last couple weeks, it is hard to keep track of it all. Things seem to have settled out a bit with WCOC, COC, JWOC and now WUOC coming to a close. BUT before you all go into orienteering withdrawal, World Masters is starting today and we still have WOC and NAOC to look forward to. It is so much fun to be able to see our athletes compete nationally against each other and doubly exciting to see them compete on an international stage. When watching a GPS dot squiggle its way across your screen while following a big international competition, sometimes you stop and wonder about the long journey they took to get there. One of the stepping stones for a lot of our athletes was attending the Sass Peepre Junior Training Camp when they were young. Below are two camp photos from the early 2000s. Bonus points for anyone who can guess the year! If you look close enough you can see many a familiar face including much of our senior national team! 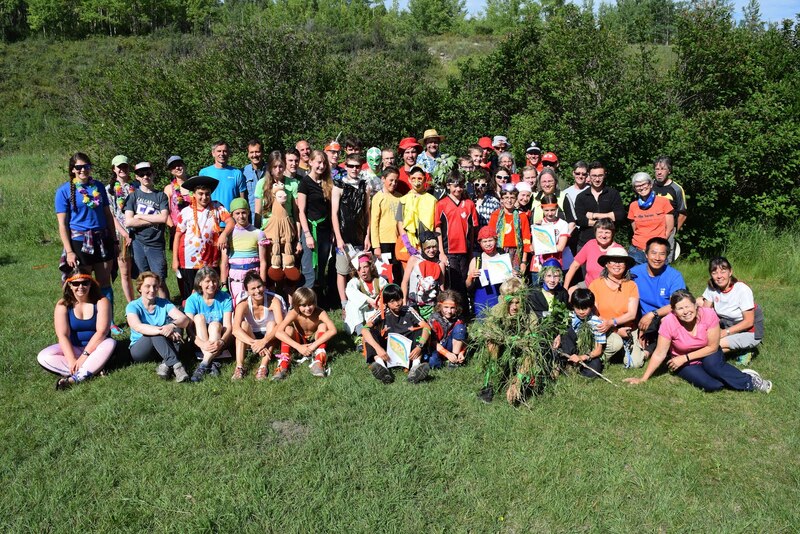 As well as those that have gone on to be orienteering Canada committee members and coaches! 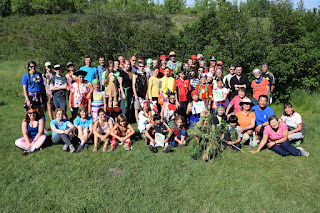 This is our camp photo from this year. How many future Canadian athletes, coaches and committee members do you think there are here?! This annual junior training camp has been happening for years with many volunteers coming back year after year (after year). Kitty Jones being the first name that comes to mind, but there are many more! 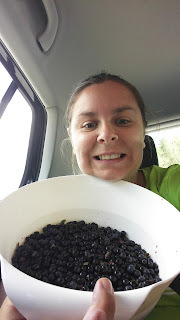 Then there is the participant turned volunteer , like our head coach this year, Meghan Rance who has attended a countless number of the camps first as a participant (try and spy her in the old photos) and then as a coach. The junior camp is a great way to bring together youngsters from all across the country to make friends in a sport that doesn’t always have a big club in their home town. I know I have many fond memories of attending the camps. This year the camp was based out of Cochrane AB. The training exercises were planned ahead of time by our head coach extraordinaire Meghan with the kids grouped according to their LTAD level. Throughout the camp there were orienteering exercises, talks from a couple of Olympians that were present (Mike Rascher and Joanne Woods) as well as presentations from some of the coaches and athletes present. Of course it wouldn’t be complete without some sort of fun dress up relay at the end! Thank you very much to all of the volunteers that worked tirelessly to put this event on year after year and continue to legacy of this amazing camp!